"Premier fortune making public entity in Sri Lanka." "Conducting innovative and attractive Lotteries using state of the art technology, upholding trust and being excellent in fulfilling the aspirations of stakeholders at all times." Integrity - The lotteries that we offer, and the way we conduct business, is fair, honest and trustworthy. Positive Attitudes - The DLB employees hold the optimistic approach to every challenge they are to face carrying out lottery business. Result Orientation - The DLB employees are confident in their roles and focus on achieving the given targets in an effective manner. Innovation - The employees of DLB are encouraged to seek ideas that will improve the business and decide and act quickly in response to strategic and competitive market changes. Teamwork - The DLB employees work together to achieve organizational goals while fostering openness, mutual respect and individual development. Orientation Towards Excellence - The DLB employees strive to maximize the quality of service continuously. Development Lotteries has been enriching the lives of people of Sri Lanka since January 19, 1983.From the inception DLB has made tremendous contribution to the Sri Lankan nation through millions of Rupees as prizes and millions as profit to the President’s Fund. 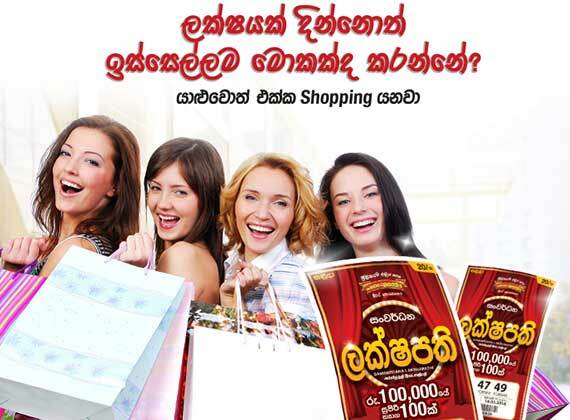 DLB is the most innovative and trend setting Lottery Organization in Sri Lanka. From the inception of the Development Lottery, it has used state of the art technology for printing of Lottery tickets and all prize payment to the general public. Further, as a corporate citizen, DLB is operating lotteries with honesty, integrity and responsibility in promotion, management and administration of lotteries in Sri Lanka. Development Lotteries Board, known as Development Lottery Centre at the inception was established on January 1, 1983. The main objective of the Centre was to assist the Government to raise finances. Subsequently in 1993 the Development Lottery Centre was formed to a Trust known as the “Development Lottery Trust”. On 12th August 1997 the Trust was converted to “Development Lotteries Board” by the Development Lotteries Board Act.20 of 1997. Development Lotteries Board entered into the lottery market by introducing instant tickets in the year 1983 and was the first Lottery organization to introduce television lottery draws to the lottery market with the launch of "Saturday Fortune" in the year 1987. Initially "Saturday Fortune" was drawn only on Saturdays and later on extended to Wednesdays too. The second phase of ‘Wasana Chakraya’ television draw commenced on 25th January 1998 drawing on every Sunday. This was tailor made for non-wining instant scratch lottery tickets. The response to this programme from the public was very favorable. Second television draw lottery known as "Development Fortune" was launched on 9th October 1998. This is drawn on Tuesdays and Fridays. The unique feature of this ticket is the introduction of ‘Zodiac’ symbols along with numbers to identify winnings. On 26th January 2004 we were able to launch "Jayoda" to be drawn on Mondays and Thursdays. This ticket offers a Super Jackpot in addition to the standard jackpot and regular cash prizes. The Super Jackpot starts with an initial amount of Rs 10 million. The regular jackpot winners are entitled to opt for the cash prize of Rs.1 million or a house worth over Rs.1 million, which is the first in the history of lotteries in the Sri Lanka. On 10th April 2009 Development Lotteries Board was able to launch “Jana Jaya” to be drawn on Thursdays and Sundays. To win the Super Prize the lucky person should match 04 numbers out of the 64 numbers and super number from among 12 numbers from another machine. The super Jackpot starts with an initial amount of Rs.2.5 million. The income generated by Development Lotteries Board is credited to the President’s Fund, which in turn utilizes 50% of it for the Mahapola Higher Education Scholarship Trust Fund. The balance generates various financial avenues to the poor people by way of uplifting their living standards, catering to the health, providing funds for the maintenance of religious institutions, welfare societies and sports and to the field of arts.